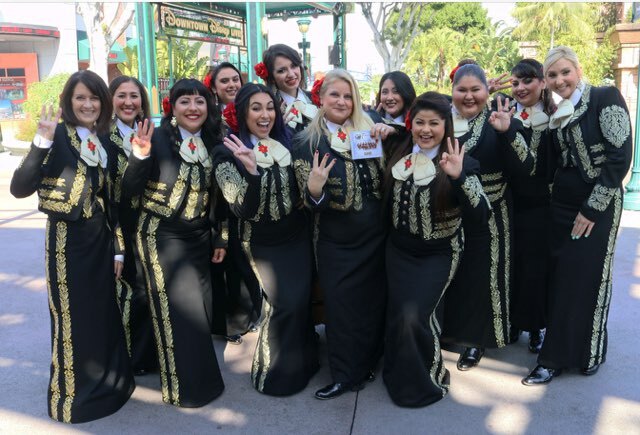 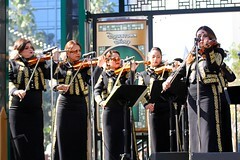 Los Angeles based all-female ensemble, Mariachi Divas de Cindy Shea, celebrate their 7th GRAMMY nomination for the band’s 12th album titled, Tributo a Joan Sebastian y Rigoberto Alfaro. 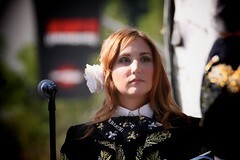 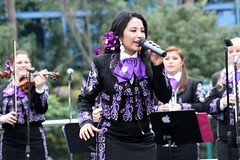 The album is nominated in the category of Best Regional Mexican Album (including Tejano). 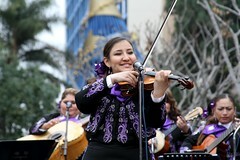 The 59th GRAMMY Awards ceremony will take place this Sunday, February 12. 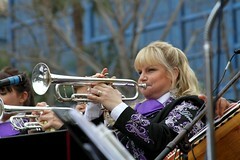 In 2000, founder and director Cindy Shea had the honor of playing trumpet in Joan Sebastian’s band and toured with him multiple times. 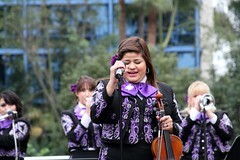 From this experience emerged a friendship and admiration for his music. 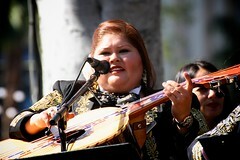 Upon his death in 2015, Cindy decided that her next recording project would be a tribute to her former mentor. 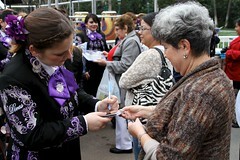 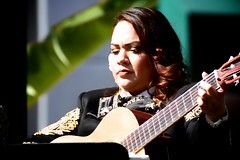 Honoring the life and career of Joan Sebastian – referred to as the “The Poet of the People” and “The King of the Rodeo” – became the center of Cindy Shea’s tribute album as it focuses on popular compositions and masterfully arranged by legendary composer, arranger and mariachi musician Rigoberto Alfaro. 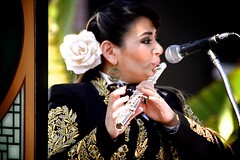 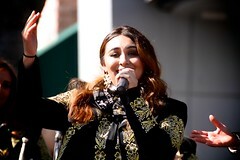 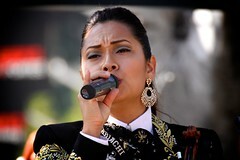 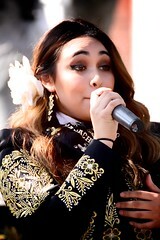 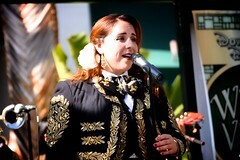 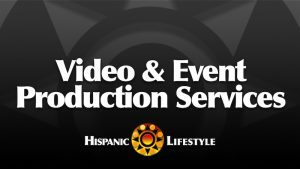 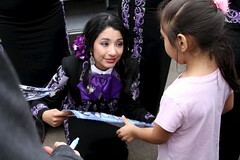 Joan’s music is a mix of many different styles, which include ranchera, grupera¸and Latin pop fitting well into the Mariachi Divas’ musical aesthetic of pushing the boundaries of mariachi music. 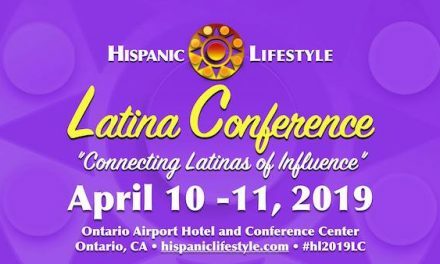 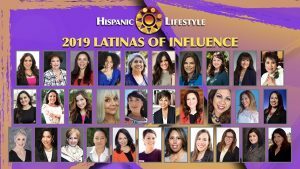 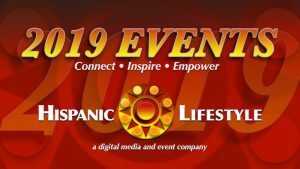 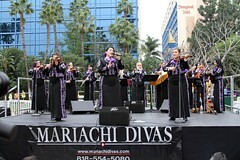 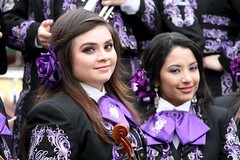 After 18 years of mariachi music experience and two GRAMMY Awards, the Mariachi Divas continue to be recognized for their musical excellence and continue to expand the scope of mariachi music. 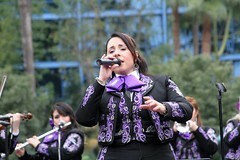 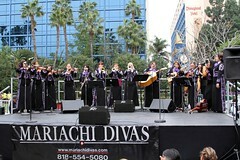 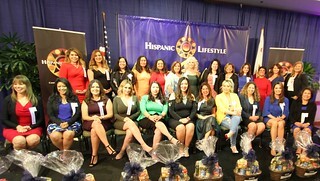 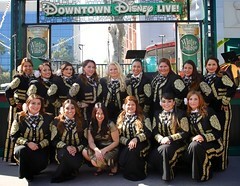 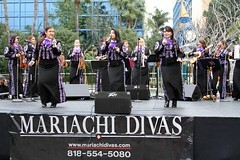 The Divas received their second GRAMMY Award in 2014 for their 9th album, A Mi Manera, and made history as it marked the first time any mariachi group ever received two GRAMMY awards. 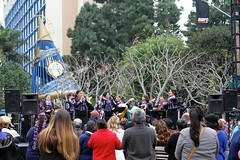 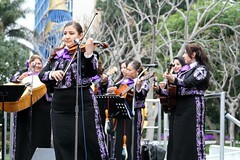 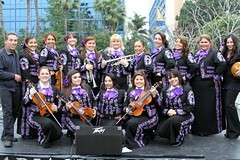 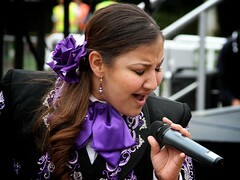 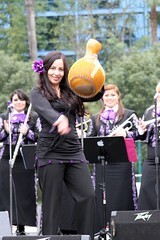 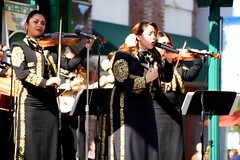 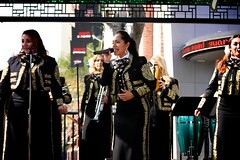 Their first GRAMMY Award in 2009, for Canciones De Amor, marked the first time in the history of the National Academy of Recording Arts and Sciences that an all-female mariachi group had been a nominee and a winner.